When it comes to accessories, sunglasses are definitely up there with bags and shoes for me. I have countless pairs of sunglasses and I pretty much never leave the house without at least one pair on me unless it’s raining! 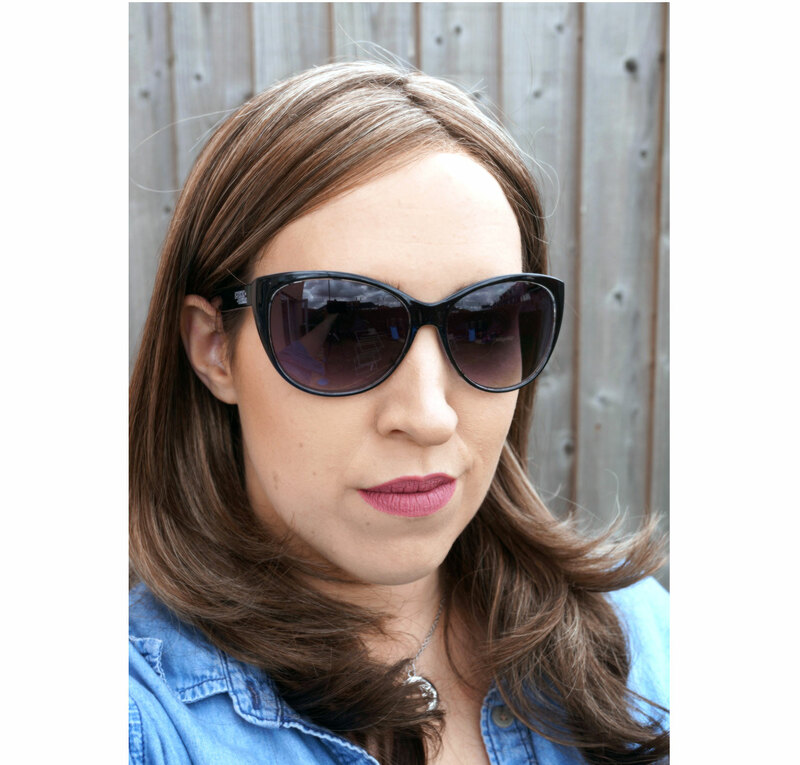 I’ve teamed up with Vision Direct today show you my gorgeous new sunglasses which they kindly sent over, as well as let you know how quick and easy it is now to choose the best sunglasses for your face shape. I have the American Freshman AFS019 Cateye Sunglasses, which are now in the Vision Direct sale for a very reasonable £23.99 – what a bargain! These have a gorgeous wearable cat eye shape, with large style lenses that have a nice subtle gradient to them. The sunglasses also have a fun design on the inside of the arms which is quite unusual. So how did I choose these? Well my face shape is oval / long so I always go for style such as a cat eye which helps to give width to my face. To find the best sunglasses for your own face shape though, Vision Direct have you covered – just go to they handy post where you start by selecting your face shape, then skin colour and hair colour, and they will show you which sunglasses are best suited to you – easy! It’s also worth mentioning there’s a 20% off discount code included in their sunglasses finder post too, so definitely check it out! Rihanna Collaboration With Mac Cosmetics Announced!